Missing Data Analysis in Practice provides practical methods for analyzing missing data along with the heuristic reasoning for understanding the theoretical underpinnings. Drawing on his 25 years of experience researching, teaching, and consulting in quantitative areas, the author presents both frequentist and Bayesian perspectives. He describes easy-to-implement approaches, the underlying assumptions, and practical means for assessing these assumptions. Actual and simulated data sets illustrate important concepts, with the data sets and codes available online. The book underscores the development of missing data methods and their adaptation to practical problems. It mainly focuses on the traditional missing data problem. The author also shows how to use the missing data framework in many other statistical problems, such as measurement error, finite population inference, disclosure limitation, combing information from multiple data sources, and causal inference. "… This book describes, both in simple and technical terms, several easy-to-implement methods, discusses the underlying assumptions of each method clearly and provides means for assessing these assumptions supplemented with practical implementations. … In short, the author has written an interesting and highly valuable book, which intends to serve the need of graduate students and statistical practitioners, working, for instance, with data from sample surveys or from longitudinal studies or from survival studies." "… This monograph presents a very readable introduction to methods for dealing with missing values in survey data. Its focus is firmly on practical aspects, leaving the underlying theory for further reading and study of the many references, which include groundbreaking work by Donald Rubin. The first four chapters are an effective exercise in convincing the reader that some of the simple-minded approaches are deficient. The narrative motivates methods that have integrity, developing them step by step to address the identified deficiencies. The arguments presented are illustrated on examples and survey programs. They promote multiple imputation as a general method and elaborate the conditions under which they are appropriate. … Every chapter is concluded with biographical notes and a set of exercises, some of which can be developed into substantial projects. Altogether, a wealth of experience, wisdom, insight and sage advice is packed into a thin volume." "… The presentation in Missing Data Analysis in Practice has the feel of well-honed lecture material … It should be understood that a text that barely clears 200 pages is not going to cover the entirety of what specialists need to know to become expert on the topic. But as an overview of the field, it is strong, and it includes many enlightening perspectives that can be expected to appeal to all readers. … As might be expected given Raghu’s leading role in developing "sequential regression multiple imputation" (SRMI), both through related scientific contributions […] and software contributions (with IVEWare remaining a leading approach for implementing SRMI along with the MICE routine in R and the MI routine in Stata), the book makes extensive use of SRMI in its many examples. … Missing Data Analysis in Practice provides many such nuanced and thoughtful insights that are crucial to successfully addressing the scientific challenges posed by incomplete data—I highly recommend it." "Raghunathan’s book is a good effort which sheds some light on the state of the art of missing data approaches. They are presented in a rigorous fashion, assumptions are clearly discussed and the book provides means for assessing these assumptions supplemented with practical implementations...Overall, the book gives a concise overview of concepts and techniques that are used to deal with missing data...the presentation is clear, effective and informative with a good theoretical flavour." "This is a short book covering some traditional methods of handling missing data points. The issue of missing data is a fact of life and happens frequently and in most datasets. Therefore, it is of great importance to take time and study the options or methods available for handing such points. ... The book presents several issues related to missing data points along with examples using actual or simulated data to demonstrate the concepts. It mainly covers traditional approaches to handling missing data points. The datasets and codes used in the book are available online. … It is a good source for the researchers and also suitable for a course on missing data points. ... Examples and exercises are very helpful to the readers." "...provides a practical approach to applying methods for exploring the sensitivity of results to missing data. Each chapter includes interesting examples and exercises using real data to explore the topics covered...takes as its focus the problems data analysts encounter with missing data, and thus approaches each missing data strategy from this perspective. 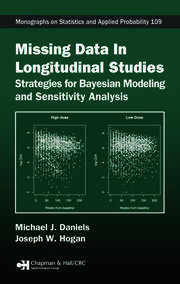 … unique in its serious treatment of these methods…a welcome addition to the literature on strategies for examining the sensitivity of results to missing data...provides accessible, practical advice to data analysts facing the ubiquitous problem of missing observations…The examples and exercises are also based on real data sets and illustrate the problems many data analysts encounter." "This is a book for practitioners who want to know what methods are available, what missing data mechanisms they assume and who want insight on how the choice of method may affect the result. The theory is described using heuristics rather than mathematical rigour. There is exemplary care and attention to the almost inevitable mismatch between theory and the practical context." "With a firm command of incomplete-data methodology and a smooth narrative, Missing Data Analysis in Practice provides an up-to-date overview of the field. 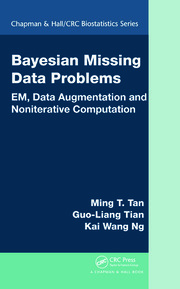 Applied researchers will appreciate the book’s guidance on pragmatic issues like selecting the number of imputations, using transformations, and including the outcome when imputing missing covariates. Attention to finite-population estimation makes the book a valuable bridge between design-based and model-based perspectives. And with extensions to areas like longitudinal analysis, survival analysis, and disclosure avoidance, statisticians will find that the book complements the classic text by Little and Rubin." "If you don’t know missing data, you don’t know data. 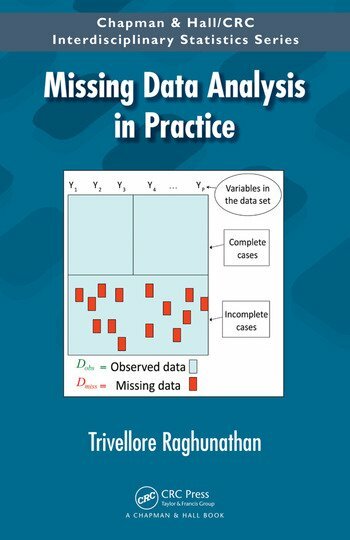 This slim and readable book covers a range of concepts and techniques for handling missing data in applied statistics."